New York University Press, 9781479885855, 336pp. Biography: Neusner is a social commentator, a post-Holocaust theologian, and an outspoken political figure. 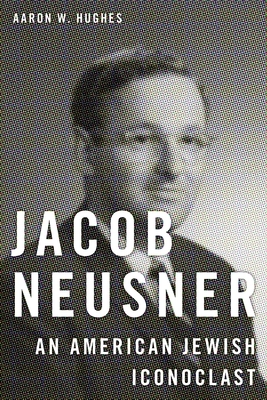 Jacob Neusner (born 1932) is one of the most important figures in the shaping of modern American Judaism. He was pivotal in transforming the study of Judaism from an insular project only conducted by--and of interest to--religious adherents to one which now flourishes in the secular setting of the university. He is also one of the most colorful, creative, and difficult figures in the American academy. But even those who disagree with Neusner's academic approach to ancient rabbinic texts have to engage with his pioneering methods. In this comprehensive biography, Aaron Hughes shows Neusner to be much more than a scholar of rabbinics. He is a social commentator, a post-Holocaust theologian, and was an outspoken political figure during the height of the cultural wars of the 1980s. Neusner's life reflects the story of what happened as Jews migrated to the suburbs in the late 1940s, daring to imagine new lives for themselves as they successfully integrated into the fabric of American society. It is also the story of how American Jews tried to make sense of the world in the aftermath of the extermination of European Jewry and the subsequent creation of the State of Israel in 1948, and how they sought to define what it meant to be an American Jew. Unlike other great American Jewish thinkers, Neusner was born in the U.S., and his Judaism was informed by an American ethos. His Judaism is open, informed by and informing the world. It is an American Judaism, one that has enabled American Jews--the freest in history--to be fully American and fully Jewish.